Virginia Commonwealth University catapulted onto the national stage in its 2011 run to the Final Four. The underdog men's basketball team that triumphed over perennial powerhouses captivated the country. At the height of the NCAA tournament, VCU topped Google trends and the main university website nearly crashed. Everyone wanted to know - VCU who? A good question that needed a quick answer to take advantage of the unprecedented spotlight and compete in the long term as a major public research university. Research clearly showed the growth of VCU from a commuter school to Virginia's largest comprehensive university had caused a perception lag. Individual schools and departments communicated separately, often with competing messages. VCU lacked a memorable, emotional, and unique brand voice. The identity crisis was tackled by working closely with consultants, as well as students, faculty, staff, alumni, and donors. A new brand mark emerged that incorporated the VCU logo, but added a new seal that represents VCU's rich history, academic rigor, and momentum of a rising university. The Make it Real campaign also evolved from these conversations. The first element was a Facebook contest in which hundreds of students, faculty, staff, and alumni posted personal stories on the main VCU Facebook page about how the university has helped them "make it real." Another element created a takeover on all VCU social media sites on campaign launch day using the same profile pictures and cover photos, as well as the hash tag #MakeitReal. The efforts caused an increase of more than 25,500 likes on VCU's Facebook page in two weeks. Social media reach over two weeks hit nearly 5 million. Print and broadcast media added another 30 million impressions. University stakeholders were regularly updated and the university president declared the campaign a university-level initiative. The greatest challenge in implementing the new brand in a complex, decentralized organization is compliance. Key stakeholders must recognize the benefits of a strong master brand to give it life. It seems to be working. A 1949 alum, who became a professor in VCU's medical school, summed up the university's response in a letter. He wrote that the commencement address in 1838 by the school of medicine's founder was "a clarion call to future generations to 'make it real.' He would love your campaign, as do I." 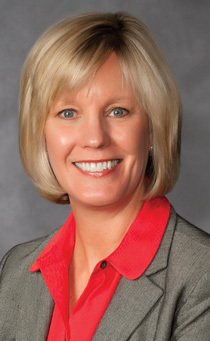 Pamela Lepley, APR, is the executive director of university relations at VCU.